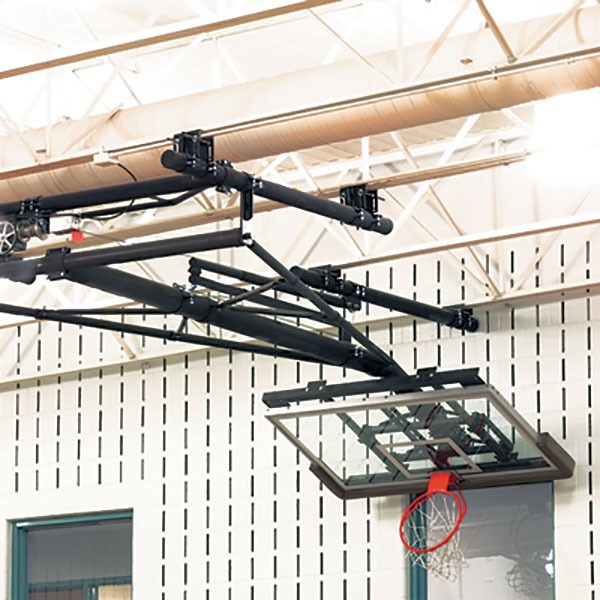 Basketball Backstop - TB-25S :: Draper, Inc.
Providing great stability at tall heights, the TB-25S Basketball Backstop’s bent stem reduces space between pivot point and jackknife to assist in avoiding obstructions. 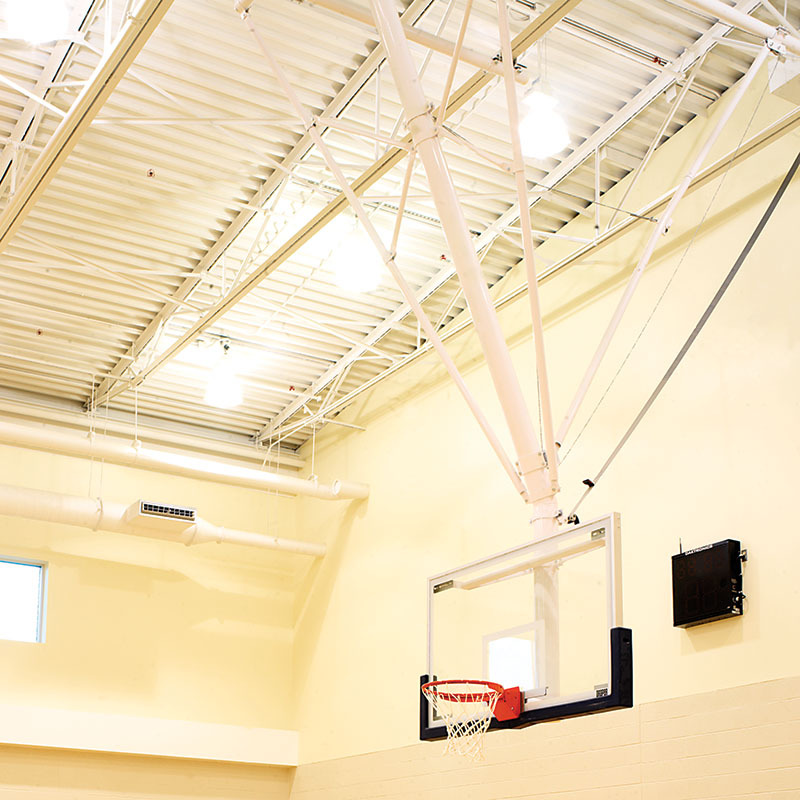 This ceiling-suspended, rear-braced, and rear-folding basketball backstop features fully-welded construction to attachment heights up to 27’ 7" (841 cm). 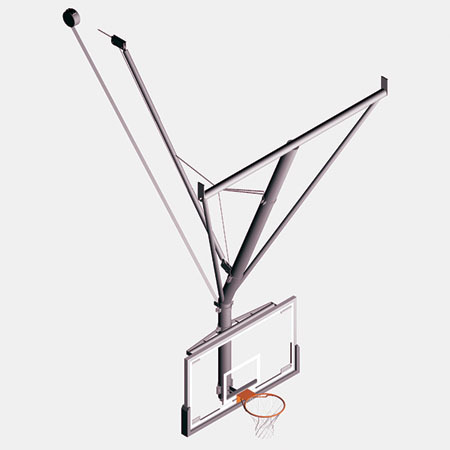 Backstops are custom designed so the lateral sway brace intersects the main mast at approximately 54” (137 cm) above the goal and 18” (46 cm) above the backboard; to ensure maximum rigidity. 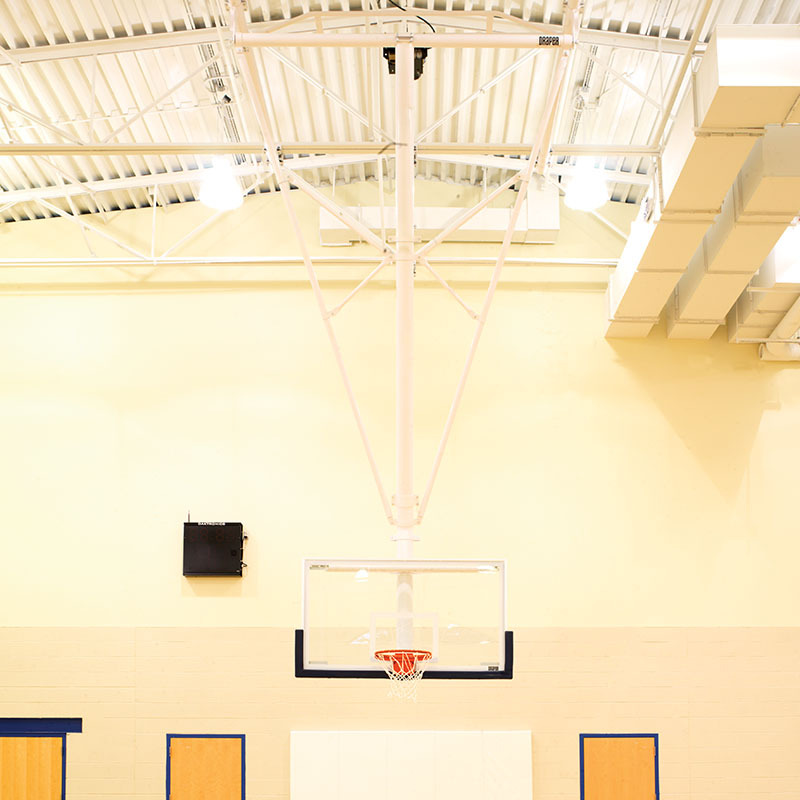 Frames have black or white powder coat finish; other color options available. Bolt-together construction for installations over 27’ 7" (841 cm).